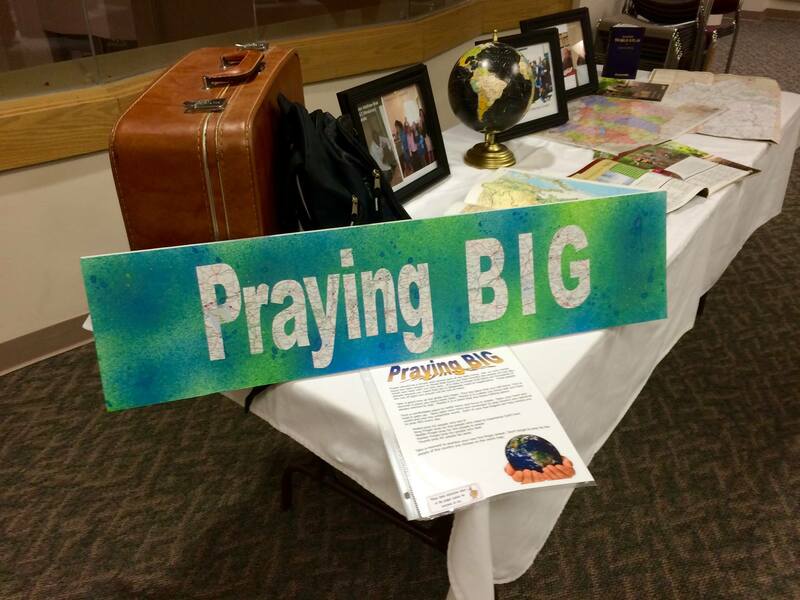 This prayer station reminds us that there are needs present beyond our own borders. We must be vigilant in prayer for those who are close and farther away. Create an adventurous and inviting atmosphere with a travel or global theme. Cover the table with white table cloth and flat maps. In the left back corner of the table display the suitcase and backpack. Center the globe in the table. Along the back of the table display the cultural pictures. In the front right open the map books and arrange the travel brochures. Place instruction sheets into page protectors and place a reminder label at the bottom right of the page protector. Arrange a few chairs out in front of the table. Place a few instruction sheets on the table and a few in the chairs. Prayer should be a simple and central part of our daily living. We, so many times, focus our daily prayers on those that touch our lives directly, the people we can see, touch and hear with our own ears. It is easy to forget that there are thousands of people beyond our reach that are in desperate need of supplication. Those people are out of sight but should not be out of mind. Take a good look at the map. Find the place that you call home. Find or discover a place you have never been. Maybe it is a place you know well and have always wanted to visit. Maybe it is a place that you know nothing about. Find a comfortable place to settle down and focus in prayer. Open your hand and hold it palm up. Now open your mind and remember to pray beyond your personal world and into the unfamiliar world. Each of your five fingers can help remind you to pray BIG every day. Take a moment to practice your new five finger prayer. Don’t forget to pray for the people of the country you choose on the world map.